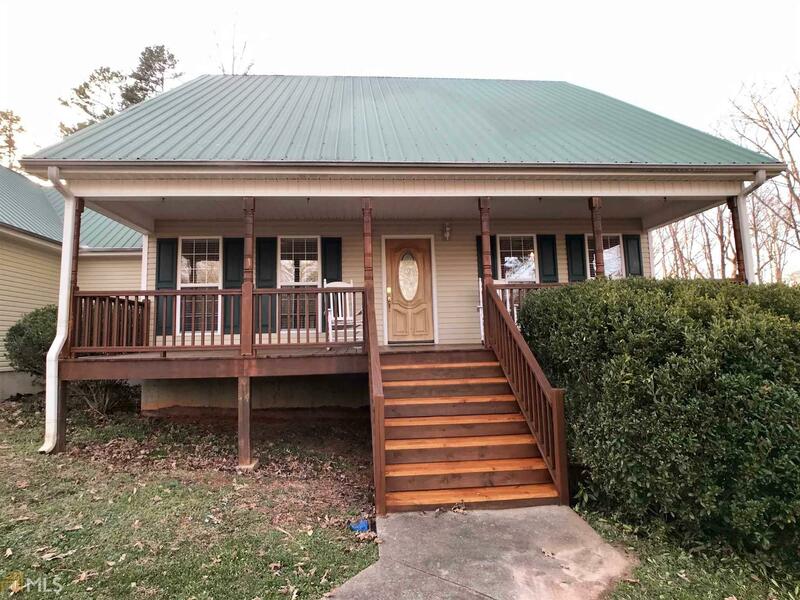 Sweet country ranch with metal roof and basement on 3+/- acres in popular Jackson County, has long front porch to enjoy the view of your huge front yard. Enter the foyer, to the left is dining room and straight open vaulted living room to kitchen. 3 BR/2BA on main level. Master suite has tub, separate shower and double vanity and walk-in closet. Split bedroom plan has 2 bedrooms on other side. Partially finished basement used as a bedroom has adjoining workshop area. Eat-in kitchen overlooks partially covered double decks. Wooded backyard offers lots of privacy. Separate 2 car shed with roof that may need repair. HVAC only 3 y.o. Directions: Ignore You Gps If It Takes You To Holiday Estates Rd. Take 129n To Left Onto B. Whitfield And Then House Is #174. About A Block Away.